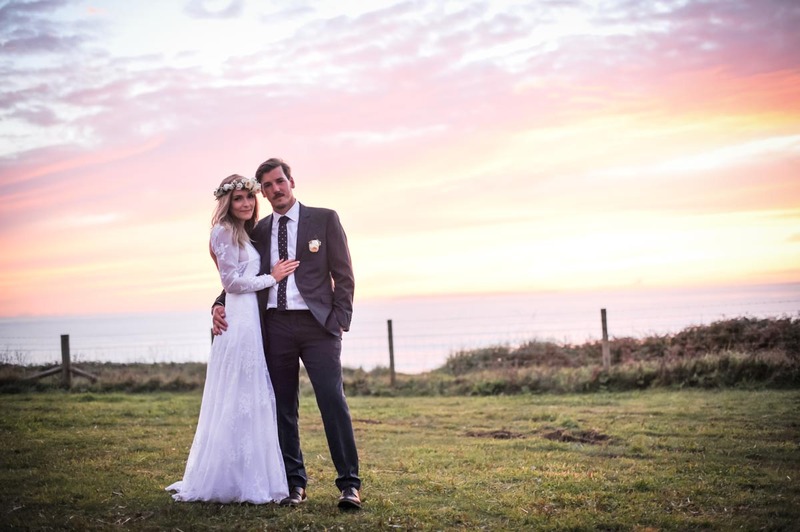 A beautiful couple who fell in love with North Devon and were able to create their dream wedding – a laid back, boho chic inspired wedding with a little helping hand from Blue Fizz Events’ on the day co-ordination. 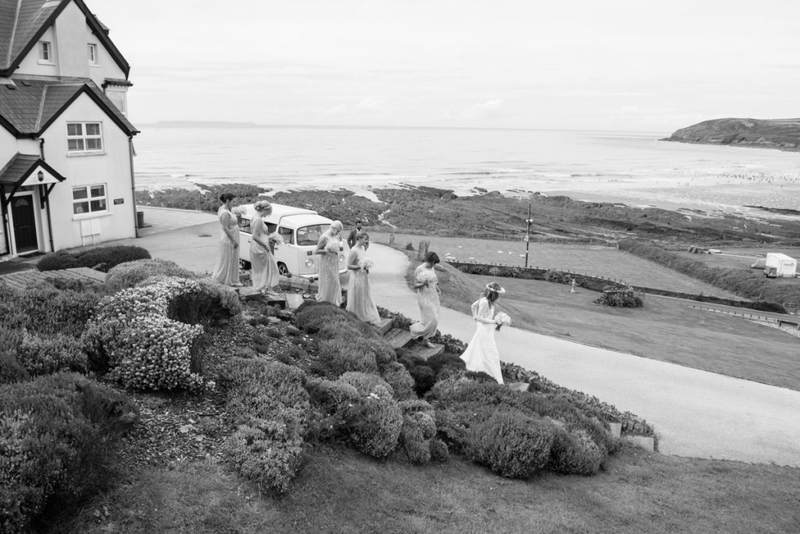 Jade & David chose a spectacular venue; Down End near Croyde. This venue choice was just perfect for them, being a blank canvas they had free rein create the spacious, laid back and effortlessly beautiful Tipi wedding they had dreamt of. Croyde Bay is a magical setting with long sandy beaches, spectacular scenery and unspoilt local villages, whilst being a brilliant surf spot. Down end is then located just off the beach making it a beautiful and truly magical unique location. Have a little look at other events held at Downend. Read more about Downend, Croyde. 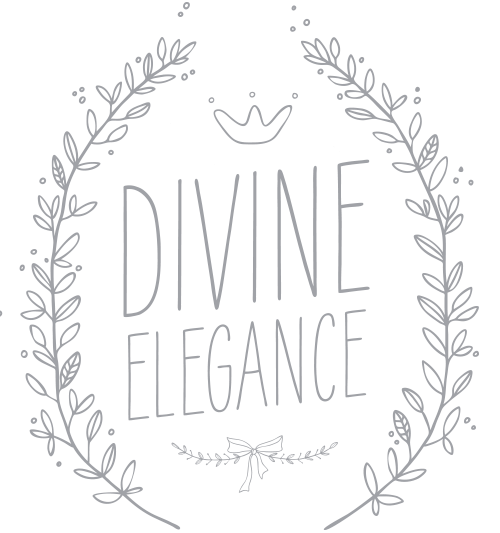 Following on from an initial consultation 4 weeks before the wedding, Blue Fizz Events will take over where you need us to in the run up to the big day. 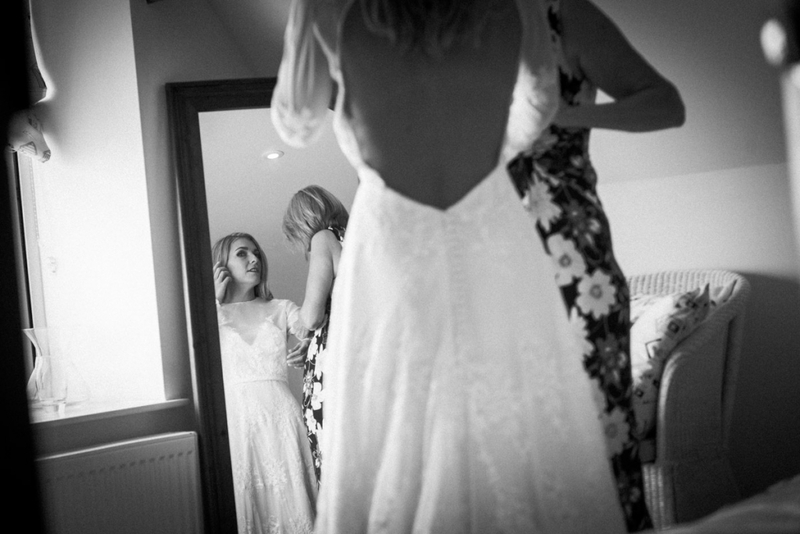 Without having to worry about setting up the venue, dealing with the suppliers, and keeping a watchful eye on the wedding cake, we were at the venue before any guests started arriving – to help in setting all the final details and so Jade & David could be sure to know everything runs smoothly. So all they had to worry about was saying “I Do!”. Read more about Blue Fizz Events On the Day Co-ordination. 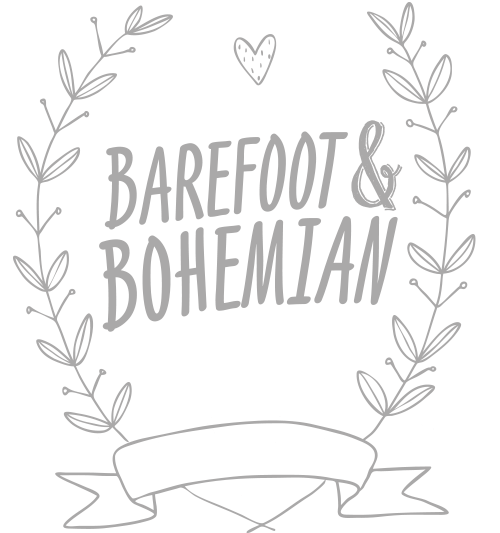 Take a peek at Blue Fizz Events Wedding Planning Services. This beautiful couple loved the idea of an outdoor, yet intimate wedding ceremony with the most exquisite backdrop. Outdoor wedding ceremonies at Downend can be easily created with a licensed celebrant to perform your ceremony. 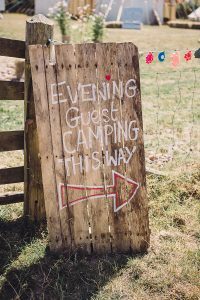 Jade and David chose a fantastic Tipi from World Inspired tents, along with a quirky open top Bus Bar, giving their guests a couple of undercover areas. 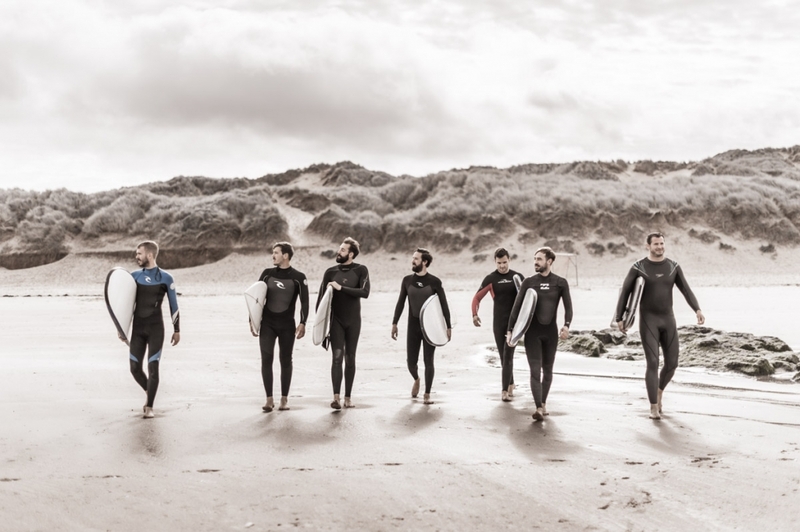 David and his groomsmen were able to catch a wave or two before the ceremony, whilst the bridal party headed across to a local salon Nirvana Hair & Beauty for a touch of hair and make-up pampering. 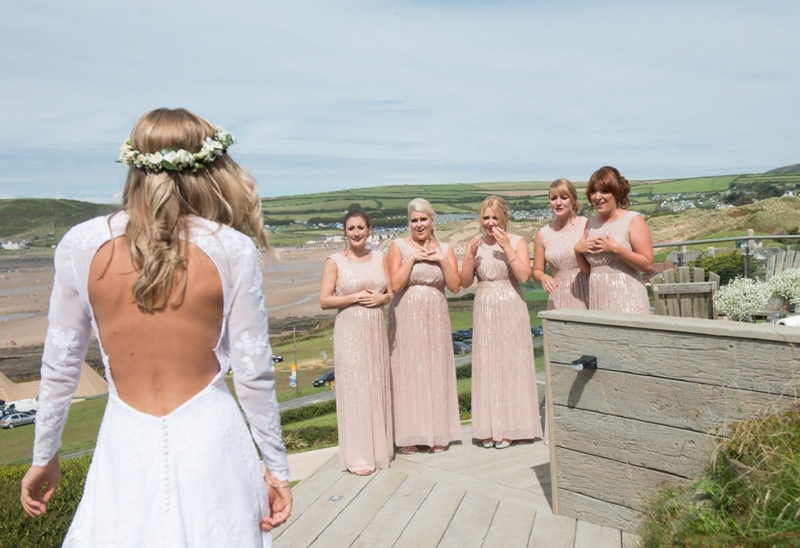 In their simply stunning gowns Jade and her bridal party made their way down from the hotel in a beautiful VW – perfectly located just opposite their coastal venue…. Jade and David were married in-front of a beautiful cream archway that was draped in exquisite red & cream roses, gypsophila and beautiful greenery. 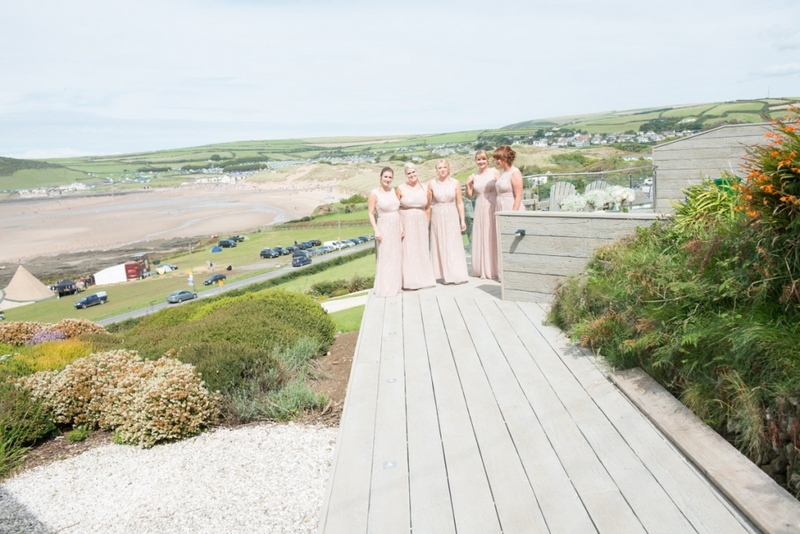 The weather was simply perfect, after the ceremony the couple along with their bridal party were able to take a little stroll down to the beach with their amazing photographer to capture many simply mesmerising images. After grabbing many a drink from the open top bus bar – Jade, David and all their family and friends sat down in the magnificent Tipi for their delicious wedding breakfast. 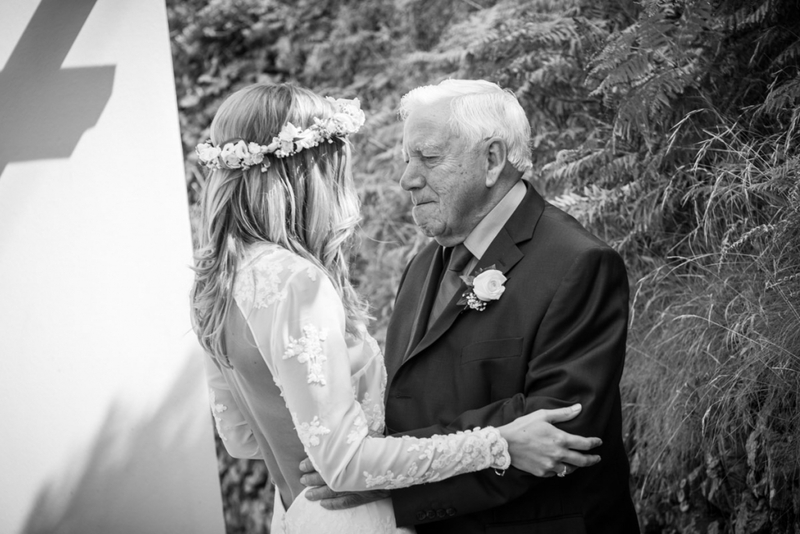 Giving the nod for the speeches to commence – tears of both joy and happiness in abundance as the wedding was tinged with sadness as David and his sister had lost their mother earlier in the year. As the evening rolled in the band began to play and the couple could have their first dance and let the evening really begin. The Tipi fire pit was then lit, marshmallows were toasted, the candles and fairy lights twinkled. 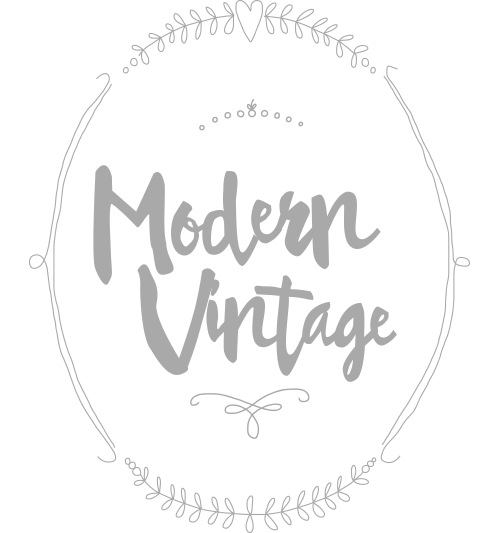 As the evening drew in the Blue Fizz Team could let the guests dance the night away under the stars and take breathtaking images within the cozy outdoor Photo Booth the photographer’s had set up…. 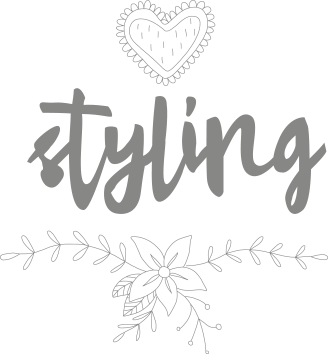 Planning a wedding of your own?